The Victorian Fireplace Store is a popular family business based in Stockport, also serving Manchester, with over 30 years’ experience in Architectural Restoration of Fireplaces, Doors and Stained Glass. We have a large showroom with over 300+ Items in stock, and free parking is available to all. Customers visiting our showroom constantly remark on this ‘hidden gem’, so why not call in and be pleasantly surprised at the full range of what we have to offer? As a specialist company, we are able to offer you a wealth of knowledge, experience and product advice, along with a wide a range of accessories and competitive pricing. 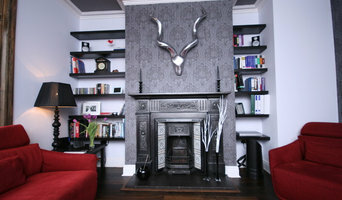 We are confident in having the right Victorian fireplace for your home or project. We also offer a comprehensive fitting service within the local area and further afield upon request. FREE UK delivery is available on all orders over £1000. 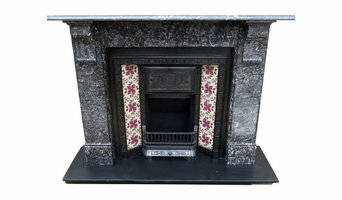 We have a range of original Victorian fireplaces for sale from original tiled cast iron to Marble / slate and reproduction. We also stock a range of wooden surrounds, browse our full range here. Victorian fireplaces add a touch of history to any room, with intricate designs, that will stand the test of time, some of the reasons why people choose them over modern fireplaces. ABOUT US Nostalgia is a friendly family-run business established in 1976 and since then has created an international reputation for dealing in fine quality genuine antique fireplaces and antique fireplace accessories. We supply original antique fireplaces to suit any home and any room; from the smallest cast iron bedroom fireplace to beautifully carved wooden mantels and even the grandest marble fire surrounds. RESTORATION With over 40 years' experience, our restoration of marble, stone, slate, wood and cast iron fireplaces is second to none. We offer a full restoration service for your own antique fireplace, whether it is an elegant Georgian marble chimneypiece, a large ornate Victorian cast iron fire surround or a beautiful Arts and Crafts timber fireplace. Nostalgia can breathe new life into your tired antique fireplace. VISIT OUR SHOWROOM IN STOCKPORT... We have the largest collection of reclaimed fireplaces available in the UK with about 3000+ antique fireplaces dating from the Tudor period through to the Georgian, Victorian and Edwardian eras (1550-1920). Our team of highly experienced staff and restoration team are always on hand to help and advise where necessary. ...OR TAKE A VIRTUAL TOUR! We understand that it is not possible for everyone to visit us in person, so we have had an official Google Business Tour created so you can take a virtual tour of our showroom from the comfort of your arm chair. Visit our website to take the tour. DRU Fires distributes a wide range of gas fires, wood stoves and insert wood fires under the DRU, Global, Dik Geurts and Spartherm brands. The company sells its appliances through over 180 specialist fireplace retailers throughout the UK. Most of the gas fires and wood stoves are contemporary in appearance and can be installed without a conventional chimney. They have energy efficiency ratings of up to 85% and include some new fireplace technology, such as smartphone or tablet controls and extended flue systems that allow the fires to be installed in unusual locations. G&E Fires Stoves Bathrooms Ltd are Kidsgrove, Staffordshire based well known designers and installers of fireplaces and bathrooms with over 20 years of experience in the industry. The company provides wide variety of fireplaces including wall mounted gas fires, electrical fires, wood burning stoves and modern day stoves with open fires to add elegance and beauty to the rooms besides making them warm and cosy. It also offers a comprehensive and custom made range of stylish and designer bathrooms to suit every style and budget. The company caters to the need of people residing in Stoke-on-Trent, Newcastle-under-Lyme, Staffordshire and surrounding areas. Vision Trimline are innovative fires skilfully engineered to allow a true trimless aspect, with no distracting frames or visible mechanical workings, just fire! Designed and engineered in the Netherlands, there are a range of highly efficient balanced and conventional flue options in either natural gas or LPG. 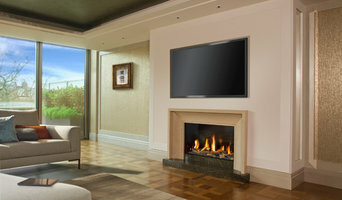 Our Vision Trimline fires offer a true sense of minimalist beauty. Furthermore, meticulous attention has been paid to the fuel bed and flame patterns to ensure a perfect recreation of a natural, living fire. Energy Innovation Ltd have the largest live display of fires and stoves in the UK. The latest ranges from leading designers - Dru, Jotul, Stovax, Varde Ovne, Focus, Dovre, Yeoman, Dikgeurts, Spartherm, Gazco, Vaillant and Vaillant Advanced. We supply only the finest energy efficient products with bespoke designs, using top quality materials. Our team is made up of experienced designers, consultants and engineers. For over 10 Years Direct Stoves have been supplying the UK market with high efficiency, highly sought after, Wood Burning and Multi Fuel Stoves. We are a very reputable Online retailer, (4.5 out of 5 customers would reccommend to a friend) with an impressive showroom based in Stockport Greater Manchester, Direct stoves are able to deliver the best experience possible when you are purchasing such an iconic piece of furniture for your home. "Fireplaces & fires of distinction." Established in 1988, Amberglow Fireplaces Ltd is a well-established family run company and Cheshire’s leading fireplace specialist. We have over 30 years experience and more working displays than any other showroom in the North West. We have 60 live gas fires and 15 live woodburning stoves at our Cheshire Oaks showroom and 38 live gas fires and 10 live woodburning stoves at our Runcorn showroom. Amberglow Fireplaces Ltd provide both traditional and contemporary designs when it comes to their fireplaces, in addition to gas and electric fires, multi-fuel and wood burning stoves. All of which come from leading manufacturers including Dru, Gazco, Paragon, Contura, Spatherm, Heta, Esse, Stovax and many more. Due to popular demand, Amberglow Fireplaces Ltd have two fireplace showrooms in the North West, with one located in Runcorn and the Cheshire Oakes Fireplaces showroom located near Chester. Both fireplace stores offer a wide range of hole-in-the-wall and inset fire displays including remote and slide control gas fires with pebble, coal, log and driftwood fuel-effects, and an unbeatable display of multi-fuel and wood burning stoves with over 100 on display. HotPrice offers a vast selection of Fireplaces, Gas Fires, Electric Fires and Wood Burning Stoves at discounted prices with fast, free delivery to your door throughout Mainland UK. Leading brand fireplaces at discounted prices plus our large showroom in Manchester display main unique designs not found online! Firebelly Stoves are a leading UK manufacturer of Woodburning, Multifuel and Gas Stoves. Our stoves are bespoke and come in a range of colours and optional extras. Discover a world of beautiful Stoves at Ramsbottom Stoves! With our extensive experience in the heating industry we can help you to create a home as unique as you are, with our comprehensive range of beautiful appliances, we have something to suit all styles and tastes. We are official stockists for; Clock, ACR, Dunsley, Worcester Bosh, Penman Collection, Carron, Opus, EKOL and Drooff. We boasts an impressive range of stoves in a variety of fuel options such as wood, multi fuel and gas, offering a truly comprehensive choice for all tastes and functions. Our Commitment We have a number of fitting teams with a combined experience of over 35 years of industry knowledge and are all fully accredited, Gas Safe and HETAS registered. We pride ourselves on our customer service and aftersales support, as well as the high standards that our customers have come to expect. Looking for that perfect gas fire? Electric Fire or Stove for your home? Look no further Click Heating are one of the UK’s leading online Fire & Stove stores, offering the best brands and products at the best prices. Choose from our extensive range of inset electric fires, hole in the wall electric fires or even hang on the wall & freestanding. With traditional and contemporary styles to choose from you ca be sure to find the perfect electric fire for your home. 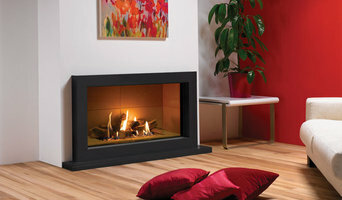 With hundreds of gas fires for sale at Click Heating, you are sure to find one suitable, no matter what your chimney. With Gas fires from leading brands such as Flavel, Valor, Celsi & BeModern carefully chosen to give the best products so all customers can find their perfect fire. Gas Stoves, Electric Stoves, Multi-Fuel Stoves… Whatever your stove needs Click Heating have the right stove for you. With Quality craftsmanship at the heart of our brands such as Hunter & Broseley you can be confident that our stoves will he heating your home for many years to come. Wigan Fireplace Centre is a family run business that was established in 1995 on the site of the old J and K Gas Centre showroom in Standishgate, Wigan. Within 3 years of opening, the showroom had trebled its size in both floor space and the number of fireplaces on display. In 2005 another showroom was opened within the exclusive Abitare furniture studio in Caroline Street, Wigan. Wigan Fireplace Centre continued to grow from strength to strength and by early 2006 a new purpose built showroom was acquired, also in Caroline Street, in which we are now able to display over 100 fires and fireplaces from all the leading manufacturers in both the UK and Europe. This magnificent showroom creates a warming homely atmosphere where you can visualise your own front room with our fireplace displays. With over 100 fires and fireplaces on display from all the leading manufacturers in the industry, we hopefully have a fireplace to suit everybody's needs. Whether you require wood, stone-effect, marble, limestone, resin, wrought iron, 'hole in the wall' or 'hang on the wall', we have them all on display. We also have a vast selection of traditional and contemporary gas or electric fires to suit all fireplaces and flue types. If you're looking for the latest eco-friendly high-efficiency high output fires or flueless gas fires, we have a large range on display from Europe's leading manufacturers Dru and Faber. Offering up to 11kw of heat with an efficiency rating between 70-100%, almost all can be fitted into a chimney or on a balanced flue system, so no chimney or flue - no problem! Wigan Fireplace Centre can arrange for your new fireplace to be expertly fitted by one of its own team of professional GAS SAFE registered installers. All with over 10 years experience in the fireplace industry. In most cases, once a fireplace is chosen, Wigan Fireplace Centre will arrange a FREE home survey to ensure the correct appliance is chosen for your particular flue type. At this point we can give a definitive price and explain what's involved in the fitting process. Burning Curiosity is an established and successful fireplace specialist with a showroom boasting the very latest designs of fires, fireplaces, wood-burning and multi-fuel stoves. Our family-run, Lancashire-based business has years of experience in all aspects of the fireplace and heating Industry both domestic and commercial. Our Ormskirk showroom has been open over 18 years and our Kendal showroom is rated No.1 in the Lake District. Having our own in-house installation teams of Gas Safe & HETAS engineers ensures the quality of workmanship at an affordable price. With a huge display of wood burning and multi-fuel stoves, coupled with an extensive range of gas and electric fires and fireplaces, Burning Curiosity has it covered when it comes to choosing the “focal point” of your room. Some fuels burn more efficiently than others in certain conditions. But it is also about the ambience that different fireplaces and stoves can create. If your chimney is functioning and the flue is in good working order then you might prefer a traditional wood-burning stove, log-burning stove or Victorian fireplace for your period property or cottage. Combined with a marble or stone fire surround, the latter will add a rarified sense of grandeur to any dining room or lounge, but it does take a while to get going. Ventilation is also an important consideration, as is practicality. You’ll be clearing away ash on a regular basis. First thing’s first though: check with your Timperley, Greater Manchester authority to see if you live in a Smoke Control Area – fireplace installation specialists in Timperley, Greater Manchester may also know this. Compact freestanding stoves, either multi-fuel, gas, oil or electric, have become very popular in recent years as homeowners try to rekindle the open-fire romance of yesteryear. But if efficiency, lower energy bills and fuss-free heating are more important, a gas fire scores highly, particularly the flueless gas fire variety, which draws waste gases out through a duct. You will also have much better control of the temperature. That said, the gold standard of sustainable heating and performance is the bioethanol fireplace – smoke-free, odourless and not a speck of ash to be seen. Meanwhile, fans of sleek and minimal design will melt away at the sight of a hole in the wall gas fire. These preserve valuable floor space, will comfortably heat a small living room and come in a variety of beguiling forms – a fire ribbon row of flames, a fire bowl or fire basket with pebbles. It’s like magic. Ask your fireplace installation expert in Timperley, Greater Manchester or local showroom to show you all of the different types so you can clearly see the difference. When considering your options, talk with your fireplace installation specialist in Timperley, Greater Manchester about the size of area you wish to heat, the current sources of heat (such as central heating), potential heat loss (through windows, for example) and degree of insulation. If your home is modern or well insulated it probably makes sense to choose a fireplace, fire or stove that works efficiently on a low setting to avoid over heating! 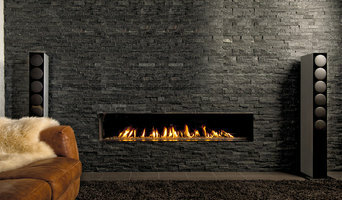 Where can I find the best fireplaces, specialist fireplace showrooms and fireplace installation in Timperley, Greater Manchester? Search on Houzz for Timperley fireplace experts and showrooms in the Find a Pro category and then start collecting your favourite images in an Ideabook. Contact your preferred company for a free consultation in their showroom or at home. Many will be able to offer a comprehensive service, from consultation and bespoke design to installation and aftercare. Don’t run straight to the cheapest. Build up your knowledge and balance price with quality of design and service. Search for fireplace showrooms and specialists that offer fireplace installation in Timperley, Greater Manchester on Houzz and see past projects, photos and reviews in order to find the best fireplace and professional.